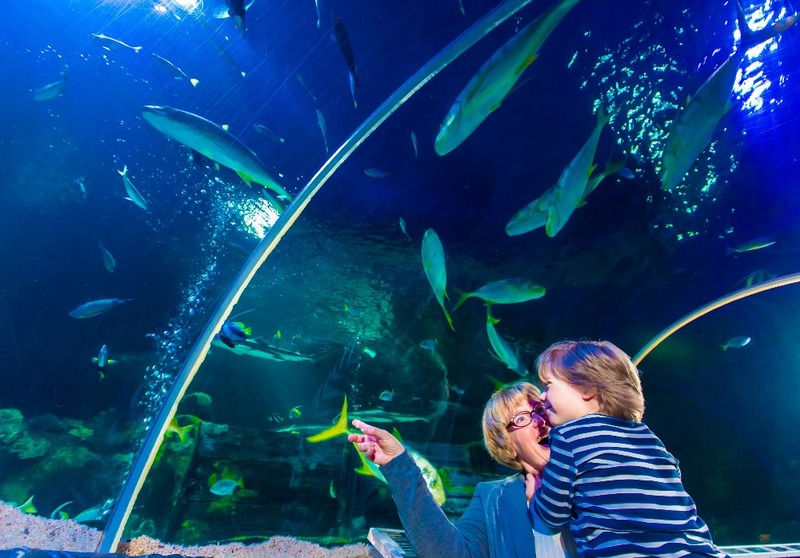 There's lots more for families to do in Birmingham these days with the launch of the new Legoland Discovery Centre and the National SEA LIFE Centre's £1.1 refurb. We went on a little day-trip to explore. Already starting to think about half-term? Got kids who love all things aquatic or building with Lego? 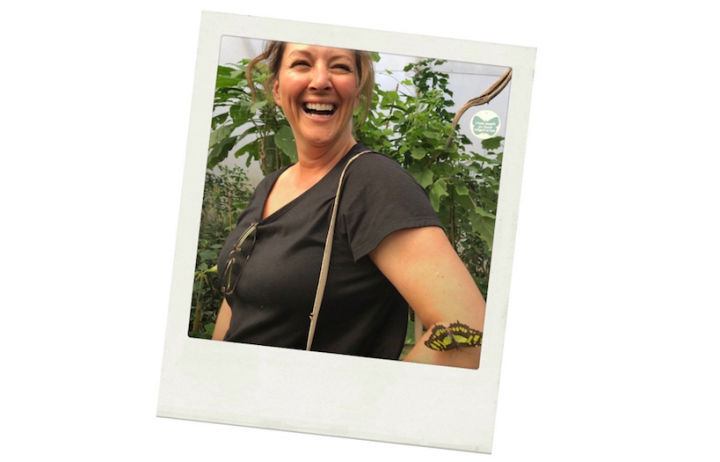 Here’s a family-friendly day out in Birmingham combining one or both for your diary-planning pleasure that will get techno-obsessed kids away from their screens and thinking about the planet/making cool stuff. 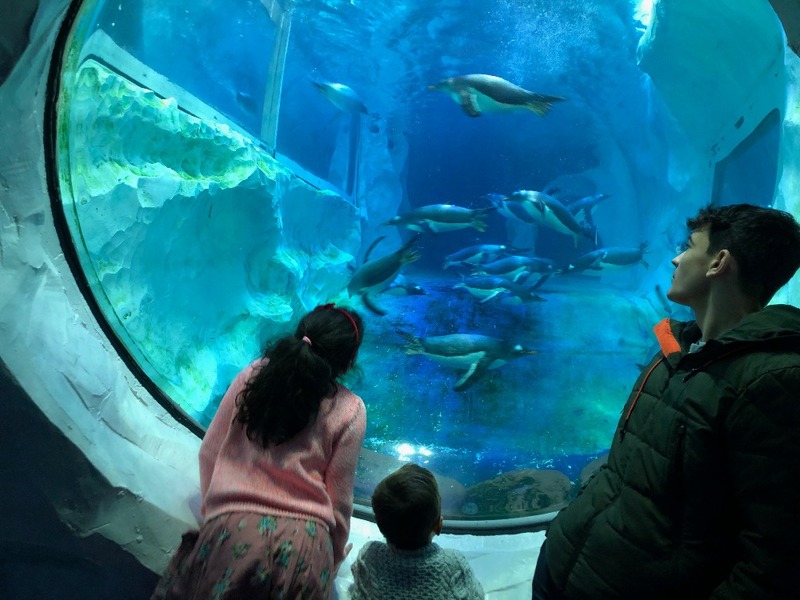 The Midlands may be pretty land-locked, but kids can get a taste of deep-sea underwater life at the newly refurbished Sir Norman Foster–designed National Sea Life Centre in glitzy Brindleyplace. 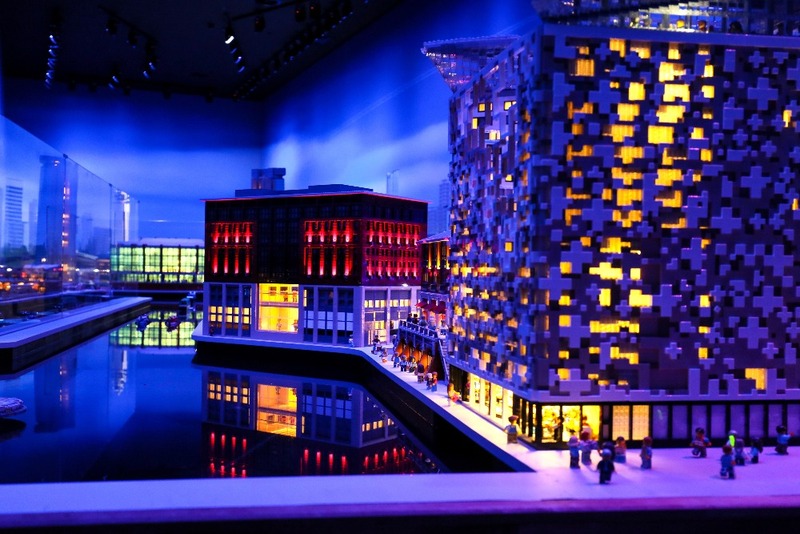 Just a five minutes’ walk away, is the LEGOLAND Discovery Centre, which opened its doors last July. Over the Christmas holidays I took two of my children to visit both – and they had a ‘whale’ of a time (I know, that was bad!). Both attractions are easily accessible by foot. As we caught the train, a quick 34-minute journey on Virgin from Rugby station, we took the scenic route from Birmingham Grand Central cutting through the Mailbox and along the canal – roughly a 20-minute walk. The Sea Life Centre is in Brindleyplace, a lovely pedestrianised area for children with fountains, near the Ikon gallery, trendy restaurants and cafes. A few minutes’ walk away, adjoining Arena Birmingham is the LEGOLAND Discovery Centre – you can’t miss the 10ft Lego giraffe outside! If you’re driving the nearest car parks are: Arena Birmingham South, Newhall Street NCP or Broadway Plaza. 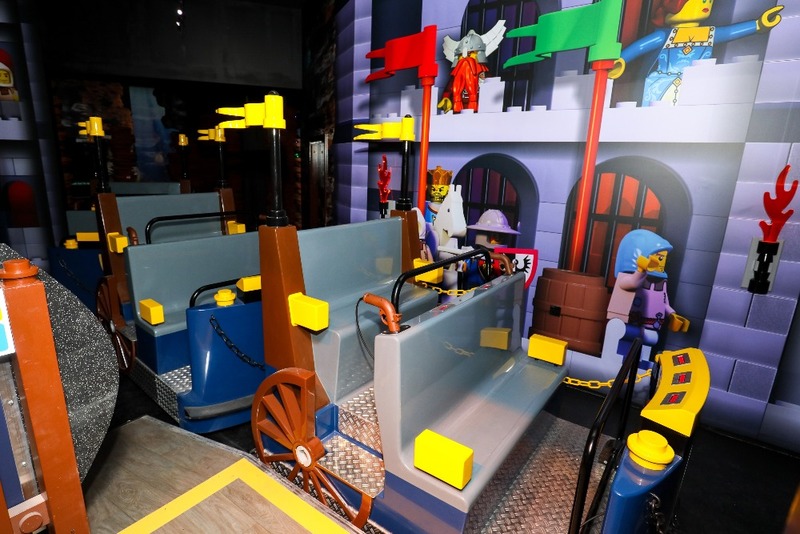 This £7m city centre family attraction is very different to LEGOLAND Windsor. It’s all indoors for a start, far more compact and underground. Similar in style to its sister site in Manchester. 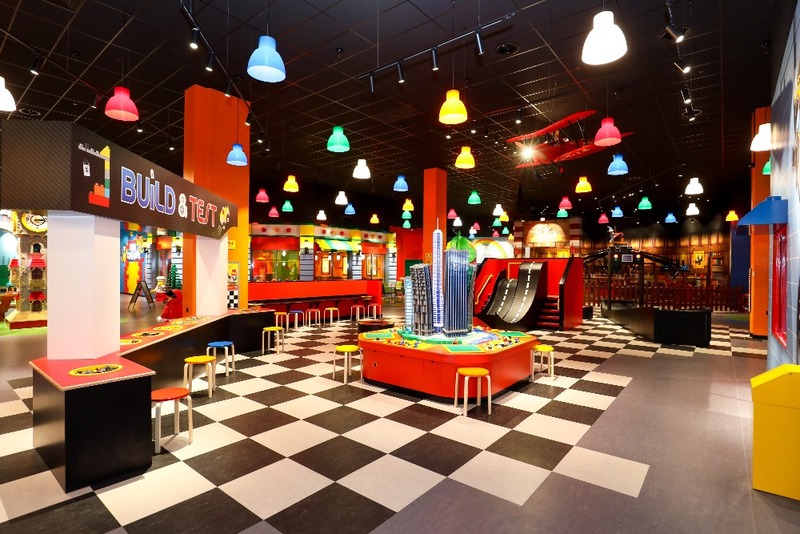 Great for entertaining Lego-mad kids aged 10 and under for a few hours, it has two rides (Kingdom Quest Laser Ride and Merlin’s Apprentice – a bike ride challenge where the faster you pedal, the higher you go), 4D Cinema, Duplo area with a slide for toddlers and an indoor soft play area. Our children are total Lego geeks – in a good way. My friend had travelled up from Derbyshire with her 5-year-old, who was absolutely besides himself with excitement. He was slightly nervous of the rides to begin with, but soon relaxed into it and couldn’t wait to start building things. 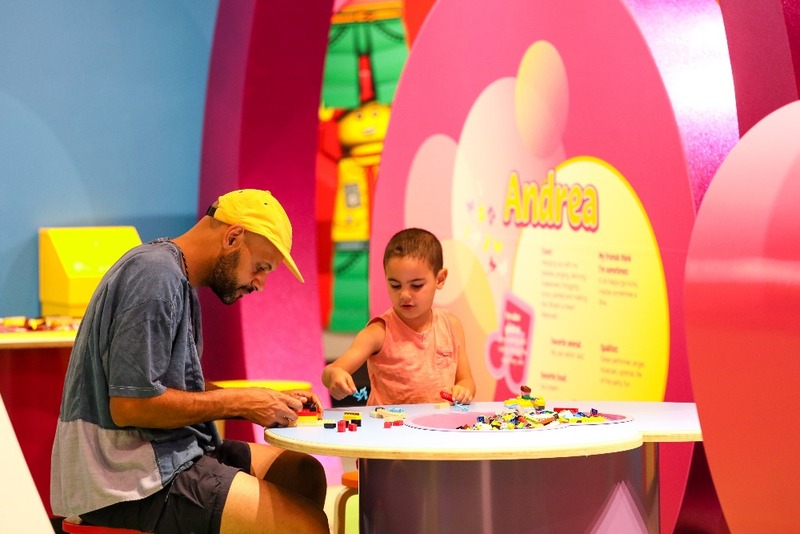 Kids can enjoy creating and constructing to their hearts content as there are huge tubs full of LEGO at various build stations, car tracks and half-hourly creative workshops in quieter, separate glass-fronted rooms. 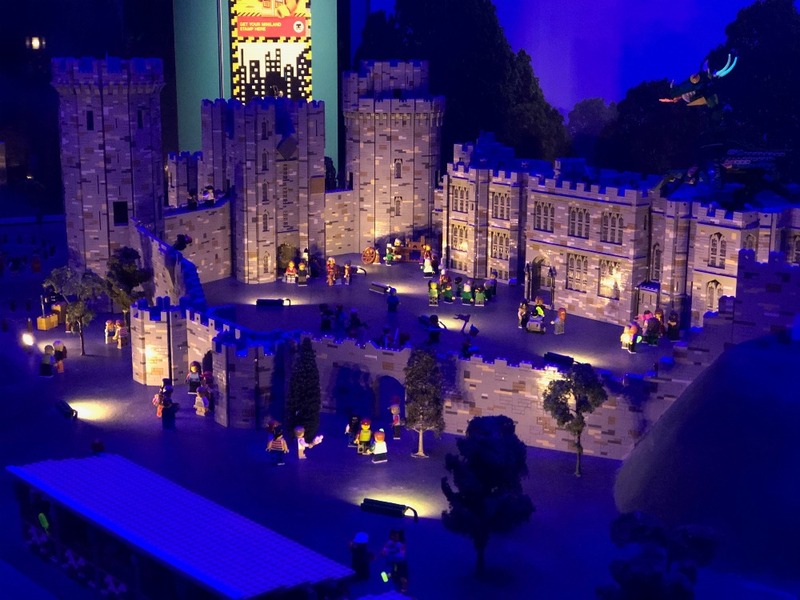 We especially enjoyed the innovation behind MINILAND – a really clever interactive LEGO City replica of Birmingham with 45 iconic landmarks from across the Midlands including, Warwick Castle, complete with underground dungeon, and the RSC theatres in Stratford-upon-Avon. See if you can spot Ed Sheeran, Adele and a kissing couple hiding at the uni. Incredibly it took 6,800 hours to make. It’s not huge, so don’t expect to spend all day there. We spent a good two hours exploring the different zones at a leisurely pace, then went for a late lunch. It’s very bright and colourful with child-size Lego characters dotted around the two floors. 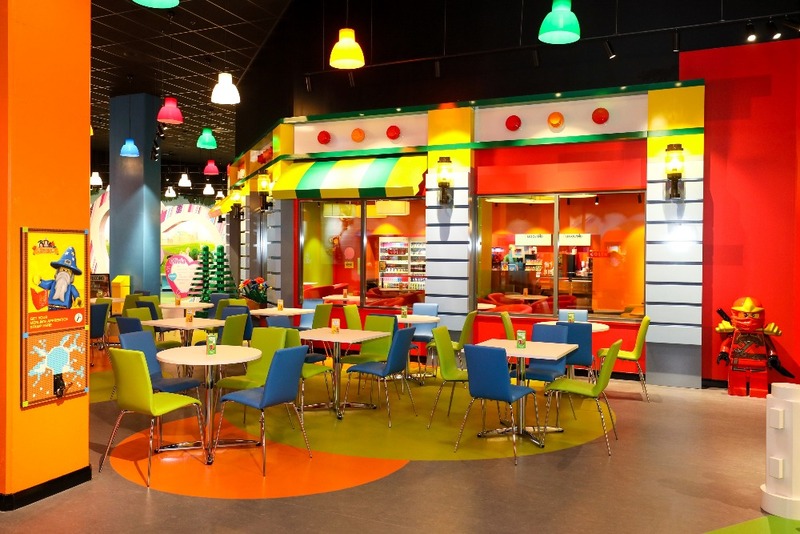 There’s a Lego-themed cafe too, which sells Costa Coffee and the shop has lots to offer serious Lego fans, therefore it might take a while to prize enthusiasts – big and small – away! Our younger two had a fantastic time and would’ve happily stayed for longer making their own creations. 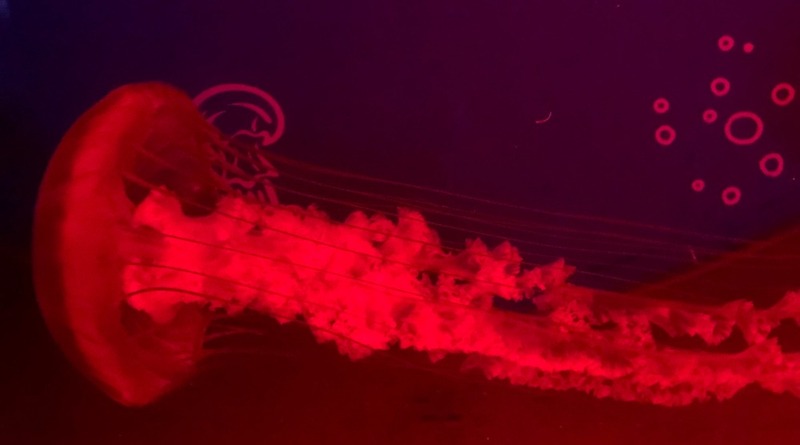 In November 2018 the Sea Life Centre underwent a £1.1m makeover, so I was interested to see how it’s been improved and updated. 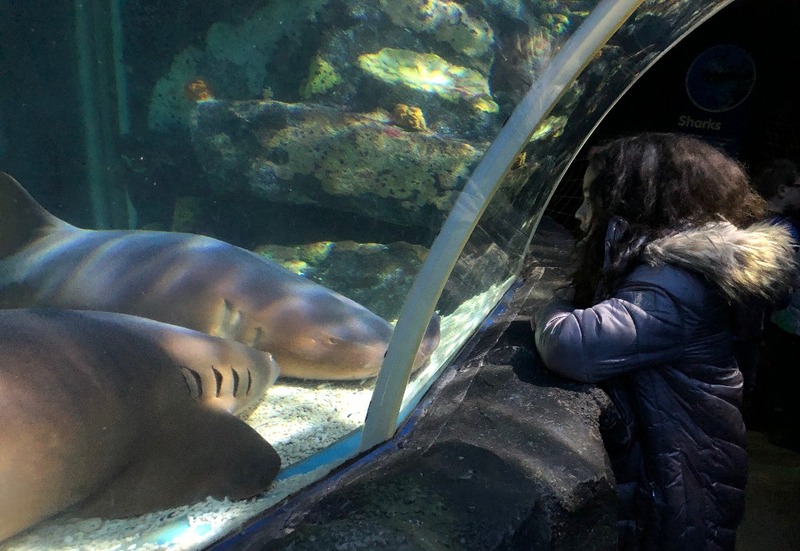 The last time I visited the Sea Life Centre was when my teenagers were four and two – and although fun, I vividly remember negotiating queues with a pushchair. This time it was far less stressful, and we were joined by one of my best friends’ with her 5-year-old. Home to 2,000 creatures, children can come face-to-face with a playful colony of Gentoo penguins, black-tip reef sharks, giant green sea turtles, luminous jellyfish and octopus’ hideout many of which have been rescued or successfully bred as part of the global Sea Life breeding initiatives. Unsurprisingly the centre saw a “huge spike” in visitors – up 30% – following the screening of the Sir David Attenborough-narrated BBC series Blue Planet II in 2017. My youngest, who is nine, had never been before and I was surprised at just how excited she was. I’m not kidding, she loved everything, running from aquarium-to-aquarium, taking it all in and particularly liked seeing the Starfish up close in the Reef Edge rock-pool, the beautiful delicate Sea Horses, the bright orange Clownfish (Finding Nemo), the Piranha fish tunnel and her favourite bit was the stunning walk-through 360-degree underwater tunnel. “It’s really cool!” was her verdict. I wouldn’t be surprised if she decided to become a marine biologist after that one visit! She’s desperate to return. Meanwhile my teenage son relived happy memories of seeing coral reefs and tropical fish while snorkelling on distant summer holidays – so there’s something for all ages. The festive 4-D Cinema showing of Polar Express was also a big hit with everyone. It’s currently Splash and Bubbles: 4-D Underwater Adventure and the film programme is regularly updated. Good for: Entertaining for younger children somewhere educational and fun, especially on cold or rainy days. Sea Life is especially good for teaching children about sub-aquatic creatures from across the world and their conservation. 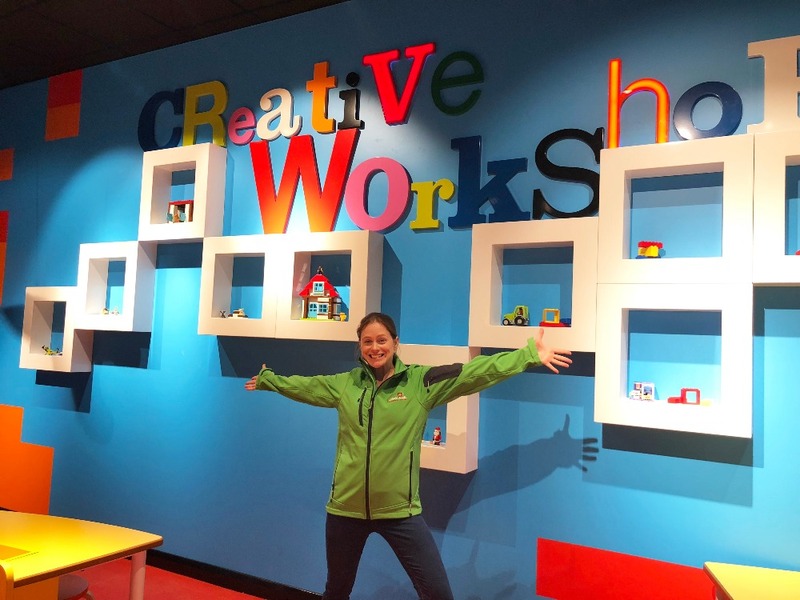 While LEGLOAND Discovery Centre is great for Lego-mad children and getting younger kids to explore their imaginative side through developing Lego-building skills in a lively, fun environment. Birthday parties can also be held at both venues and there are Adult Nights, with Master Model Builder workshops offering tips. Not so good for: Both attractions get busy, it may be better to go earlier in the morning or late afternoon to avoid the crowds and queuing for rides during school holidays. On the pricey side. The extra add-ons such as photos can bump up the price. The damage? Best to book in advance online. You can get a combi ticket to both attractions, and don’t have to visit both on the same day. 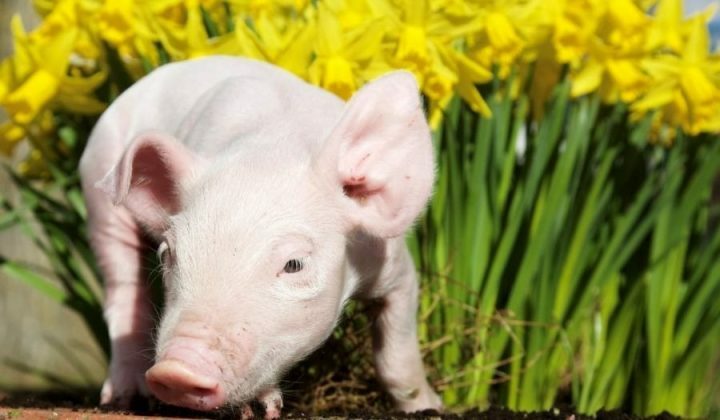 It’s valid for up to 3 months and costs £25pp (£108 for a family ticket for 4). Under 3’s free. Alternatively, you can buy a Warwick Castle Combi ticket. 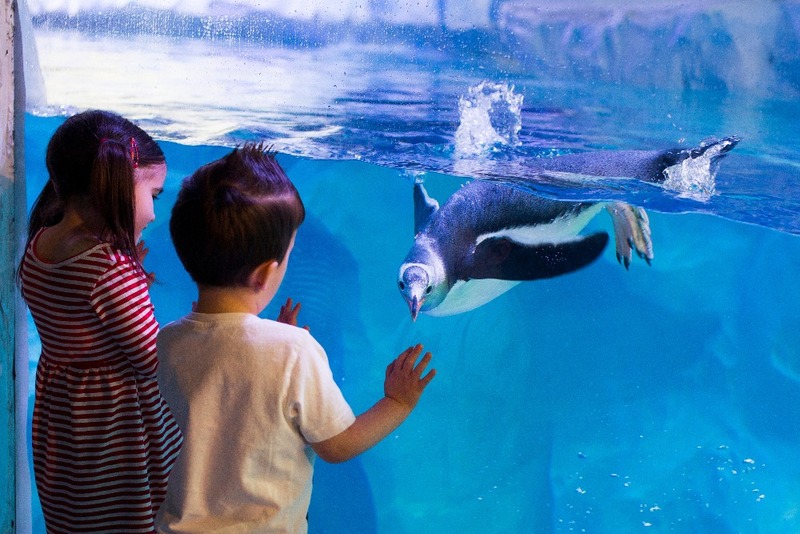 Individually Sea Life costs £13pp for a Big Saver ticket online; and LEGOLAND Discovery Centre is £15. Around Brindley Place restaurants with children’s menus include: Pizza Express, Wagamama, Handmade burger Co and Carluccio’s. If your kids are a bit more adventurous, I’d head to Yorks at Ikon, inside the art gallery, which does fab brunches, lunches and their own coffee roasted in Birmingham. We went to one of my current favourite independents, Damascena Coffee House a stone’s throw from The Ivy in Temple Row West, overlooking the Birmingham Cathedral of St Philip’s. 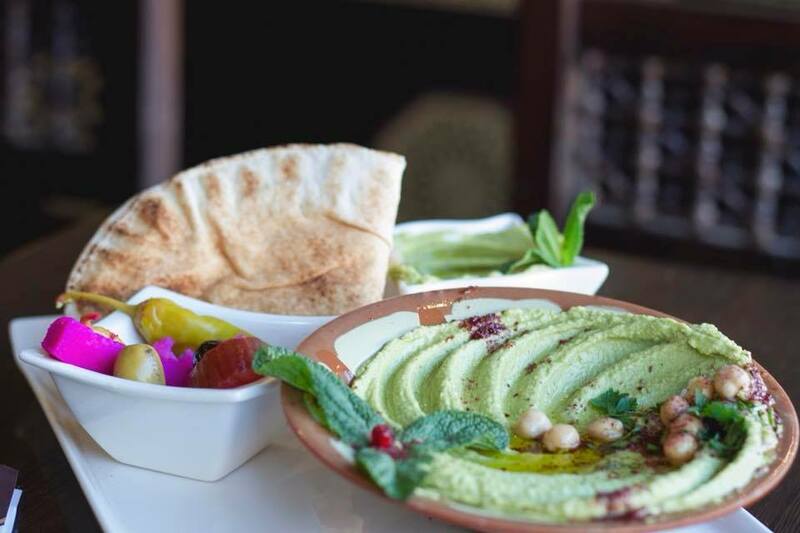 It’s run by Anas Zein, a Syrian refugee, and they serve the most amazing hummus and homemade flat breads for just £3.95 as well as tasty mixed meze, fattuush salad and grilled halloumi. It’s such good value – extra flat breads (including gluten-free) are 30p each, there’s also an excellent range of 17 different coffees (including Arabian Spiced), teas and freshly-squeezed juices, plus 6 varieties of Syrian Baklava. 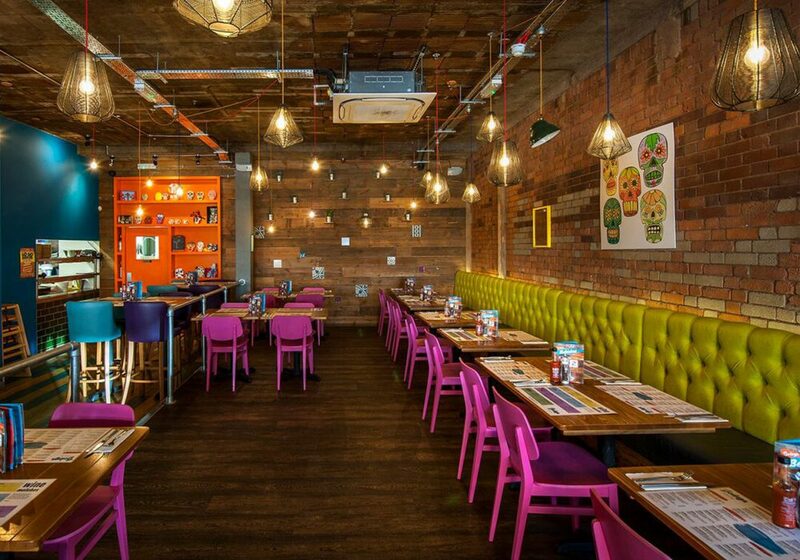 As two of my children are vegetarian other personal favourites include: Natural Bar and Kitchen, opposite the Mailbox – the city’s first vegan bar and kitchen with a plant-based menu where you can either choose from the buffet or order from the menu; and quirky South American inspired Bodega Cantina in Bennetts Hill, Birmingham with its Ninos Menu (you may need a book in advance here as it’s very popular). Ikon Gallery An internationally acclaimed contemporary art venue in a converted Gothic schoolhouse. Free entry. ThinkTank An interactive science museum at Millennium Point with a spitfire gallery, Planetarium and lots of family activities during weekends and holidays. Back to Backs Quirky tours of this cluster of restored 19th Century back-to-back terraced houses take you through four working-class homes, telling the stories of those who lived here from the 1840s to the 1970s. It’s currently closed due to essential conservation work but reopens on Jan 29 2019. Pre-booking essential. Birmingham Museum and Art Gallery This striking Grade II listed historic building on Chamberlain square dates to 1885 and houses Pre-Raphaelite works by Rossetti, Edward Burne-Jones, plus an Edwardian tearoom. Free entry and family-friendly workshops and activities during school holidays. Cadbury World A former working factory not unlike Willy Wonka’s chocolate factory. You can go on a self-guided tour documenting the history of the world’s largest confectionery company established by a Victorian Quaker family in Bournville. Go on rides, see a 4D film and watch the chocolatiers at work. You’re given free bars (such as a Crunchy, Dairy Milk and a Curly Wurly) en route. Perfect for chocolate lovers. Jewellery Quarter (JQ) An historic area of bars and galleries with more than 400 jewellery makers – many taking commissions. Workshops, jewellery making courses and exhibitions open to the public are listed online on the JQ Directory. Barber Institute of Fine Arts Located at the University of Birmingham, this small art gallery is packed with works by Monet, Manet and Magritte; Renoir, Rubens, Rossetti and Rodin; Degas, Delacroix and Van Dyck – as well as Botticelli, Poussin, Turner, Gainsborough, Gauguin, Van Gogh, Bellows, Hodgkin and Auerbach…plus workshops and family activities. Free entry with a suggested donation. Custard Factory Digbeth’s creative quarter centre is a more edgy art-and-design full of art galleries, quirky boutiques, vintage clothing outlets, office space, a skateboard specialist, graffiti supplies hop, a weekly streetfood event (Digbeth Dining Club) and The Mockingbird Cinema and Kitchen, set in and around the converted buildings of the factory that once churned out British favourite Bird’s Custard. 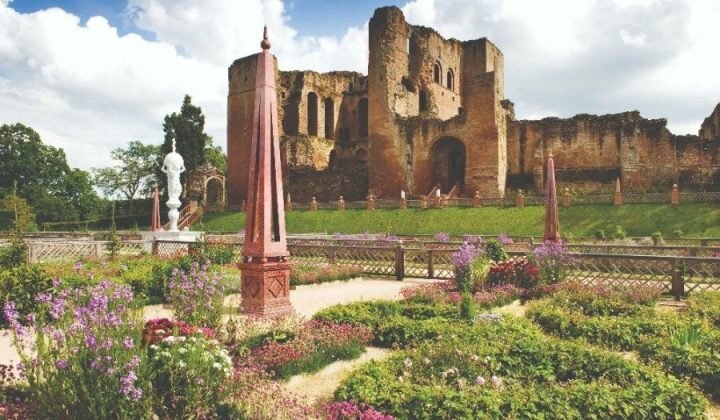 Birmingham Botanical Gardens Four stunning glasshouses including a tropical rainforest and desert, in a beautiful Victorian parkland set in 15 acres, plus, playground, tearoom and half-term-events for children.